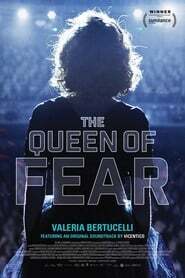 The directorial debut of Argentine actress Valeria Bertuccelli, The Queen of Fear holds its world premiere at Sundance 2018 as part of the World Cinema Dramatic Competition. The film was Cover Versions co-directed by Fabiana Tiscornia and stars Bertuccelli as an actress set to open a one-woman show. Matías Mesa, the film’s cinematographer, has DP’d a number of Spanish-language shorts and features in addition to his camera operator work on Okja, Triple 9 and The Road. Below, Mesa speaks with Filmmaker about lighting a blackout sequence and the visual influences on The Queen of Fear. Filmmaker: How and why did you wind up being the cinematographer Unforgiven of your film? What were the factors and attributes that led to your being hired for this job? Mesa: Besides being very excited to take part on Valeria Bertuccelli’s first feature film, I knew Fabiana Tiscornia from her days as a 1st AD, We have worked together several times in the past as a Steadicam operator. This film’s initial idea was to move the camera a lot, and with a very short time on the schedule it had to be accomplished The Guardian Angel in some very agile way without sacrificing movement smoothness. We agreed that doing hand held was not the best option for the mood of this story so we decided to go with Steadicam as our main camera moving platform. Having said that, the directors found that our vision of the story matched and the visual approach was appealing to the way they envisioned this story. I think that it was a very good match from the start.